Above is the median built on North 10th Street in McAllen. Another median was built on West University Blvd. TxDot now has given the city of Edinburg a plan where TxDot will pay for and widen East University Blvd. and build a median there as well. The city, however, isn't sure if they want another median. 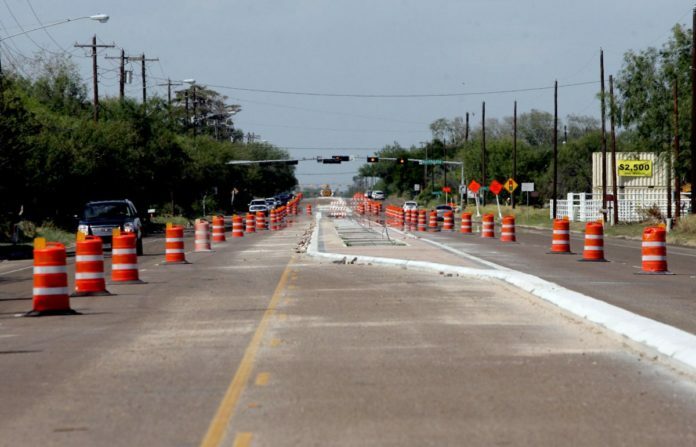 EDINBURG — City officials might be willing to forgo state funds to widen State Highway 107 in order to fight the construction of a proposed median. The issue came up during last week’s city council meeting, when council members discussed the project with Public Works Director Ponciano Longoria. Texas Department of Transportation is in the process of finalizing plans, specifications and estimates for the widening of SH 107, also known as University Drive, from I-69 to La Blanca Road, Longoria told the council. The plans are to widen the road from five lanes to six lanes and add a median similar to the design on West University Drive. TXDoT, however, is asking the city what kind of median it wants. The options range from concrete to bricks and whether or not landscaping should be included. “TXDoT will build it, will pay for it and then it’s up to the city to do the maintenance,” Longoria said about the median. The discussion brought Fern McClaugherty to the forefront. McClaugherty, one of the most vocal members of the Objective Watchers of the Legal System (OWLS), argued the community does not want any more medians. They create traffic backup and can be dangerous when motorists ignore red lights in order to avoid longer waits at the intersection. Landscaping can also become hazardous when trees become targets of collisions. Several council members seemed to agree. The council asked Longoria if anything could be done, and he suggested writing a letter to TXDoT informing the agency about the city’s wishes. “Sounds like this is the perfect time (to do so),” Councilmember David Torres said. A few council members worried TXDoT would not widen the road if the median was removed from the plans. “Do we lose the widening if we go against the median,” one of them posited. Longoria said he would begin talks with TXDoT on how to proceed.